Dust off your skinny tie or your cocktail dress with ruffled shoulders and giant hip bow. It's, like, totally, time to travel back in time to attend Long Island proms of the 1980s and '90s. 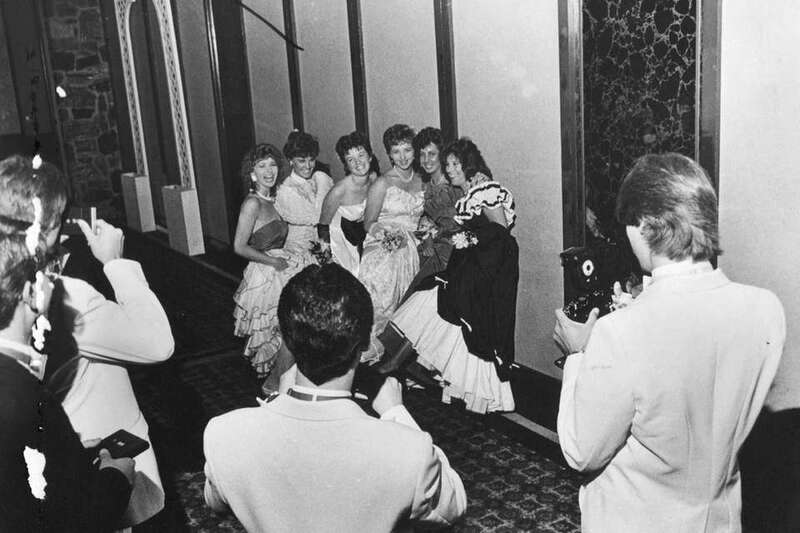 Do you have LI vintage prom photos or crazy prom stories to share? 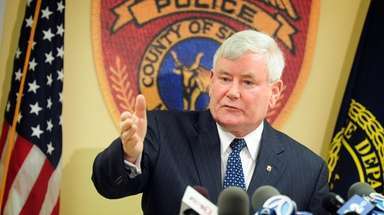 Send them to josh.stewart@newsday.com. Michelle Aranow and Robert Keenan attend the Sachem High School senior prom at the Colonie Hill Golf Club in Hauppauge on June 8, 1985. 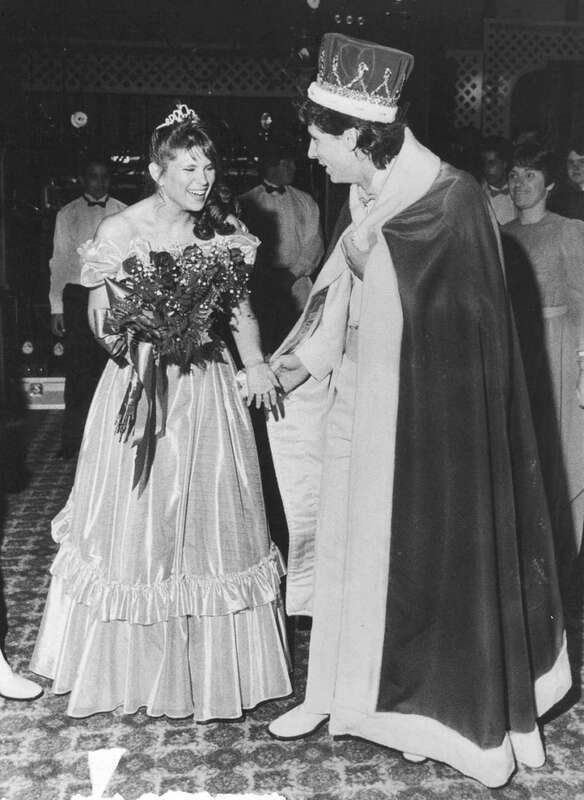 The couple were named king and queen of the prom. Ray Huggin dances with Dawn Eyester at the Sachem High School senior prom held June 8, 1985, at the Colonie Hill Golf Club in Hauppauge. 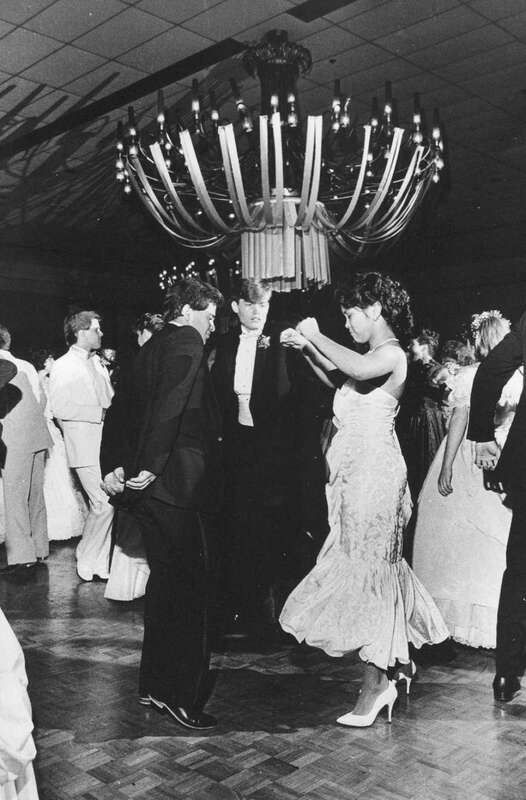 Guy Bebedetto and Sharon Aguam dance at Sachem High School's senior prom on June 8, 1985, at the Colonie Golf Club in Hauppauge. 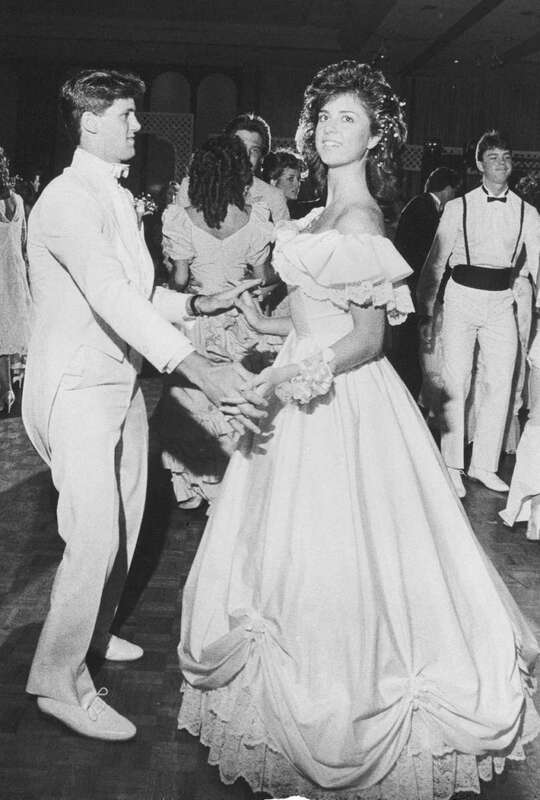 Richard D'Arrigo and Candy Ellman sparkle at the Sachem High School senior prom held at the Colonie Hill Golf Club in Hauppauge on June 8, 1985. Sachem High School seniors pose for pictures at their prom on June 8, 1985, at the Colonie Hill Golf Club in Hauppauge. Members of the graduating class of Sachem High School celebrate at their senior prom on June 8, 1985, at the Colonie Hill Golf Club in Hauppauge. 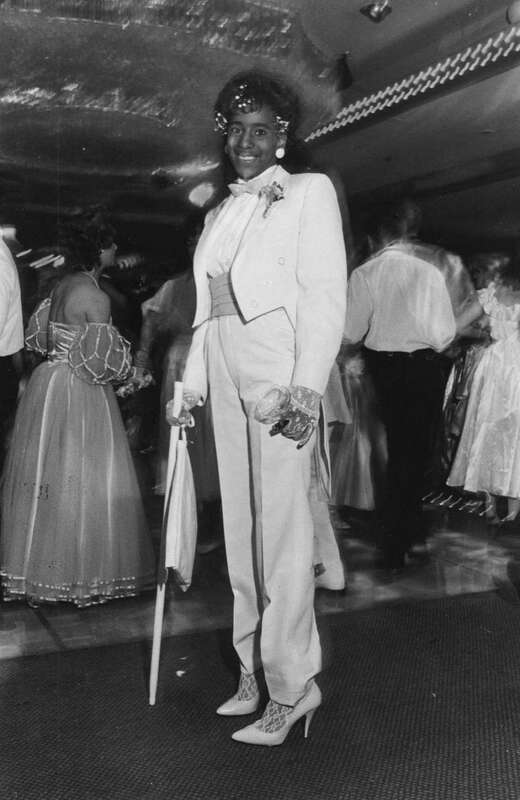 Monique Anthony, whose boyfriend was in the Army, decided not to wear a gown to the Huntington High School prom on June 13, 1986. 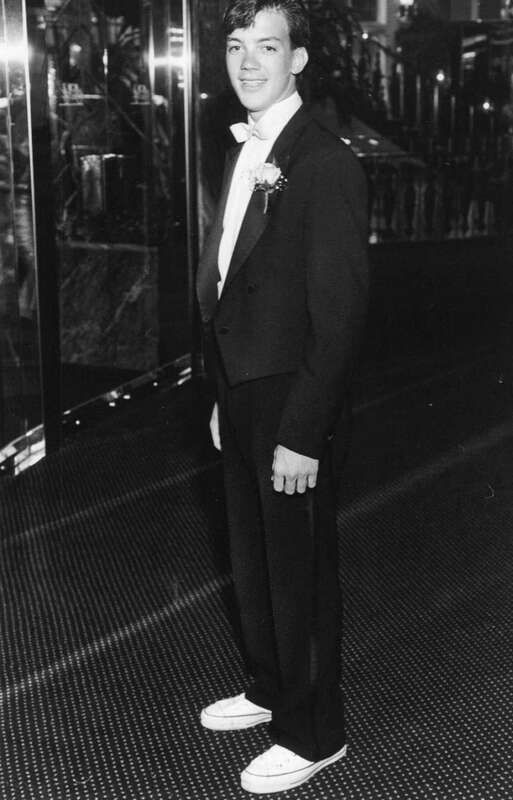 Darren Collins wears sneakers and tails at the Huntington High School prom on June 13, 1986. 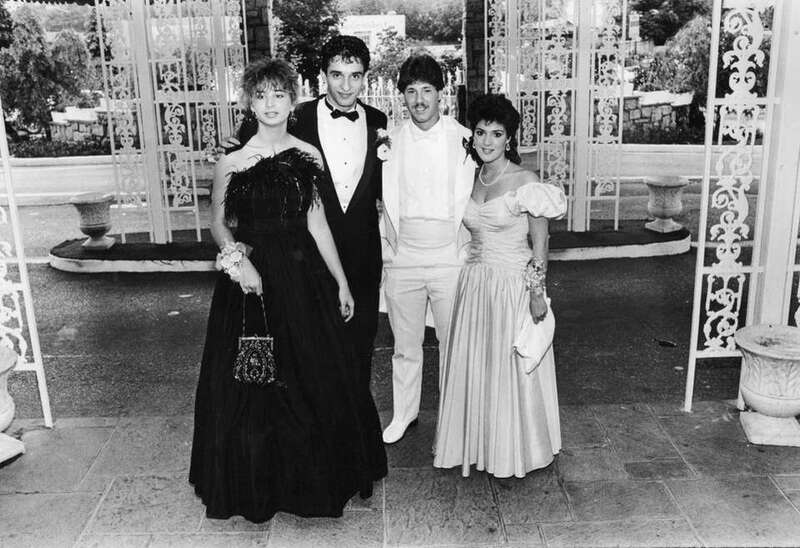 Students join the festivities at the Huntington High School prom on June 13, 1986. 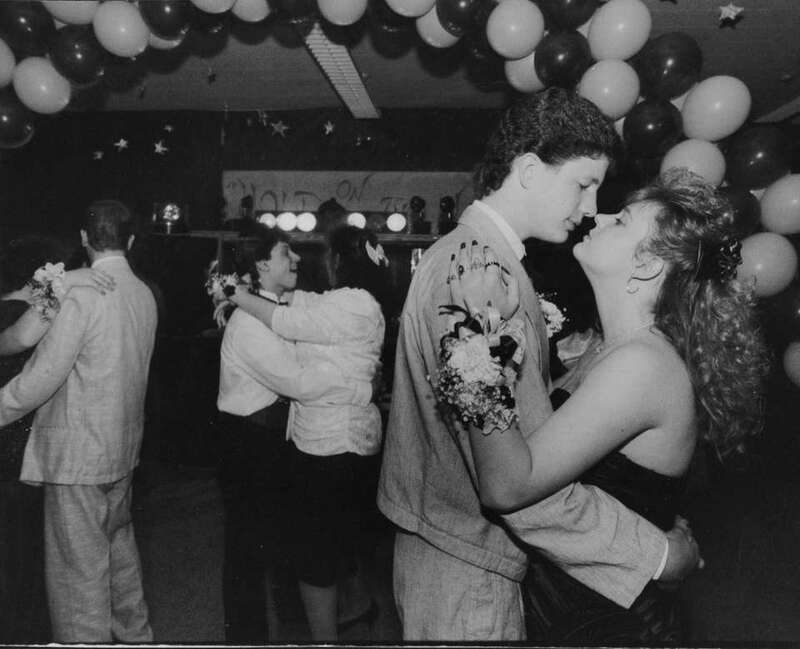 Eric Wolf and Jenn Lorusso dance at the North Babylon High School prom on May 13, 1989. Eric Wolf's prom date, Jenn LoRusso, arrived just in time to watch him snack on a sweet treat from an ice cream truck driving through the neighborhood. 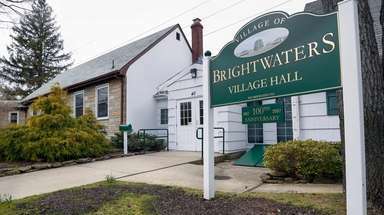 They attended the North Babylon High School junior prom together on May 13, 1989. Eric Wolf and Jenn LoRusso changed clothes after the North Babylon High School junior prom on May 13, 1989. When asked if they were really having fun, they answered simultaneously, "No." 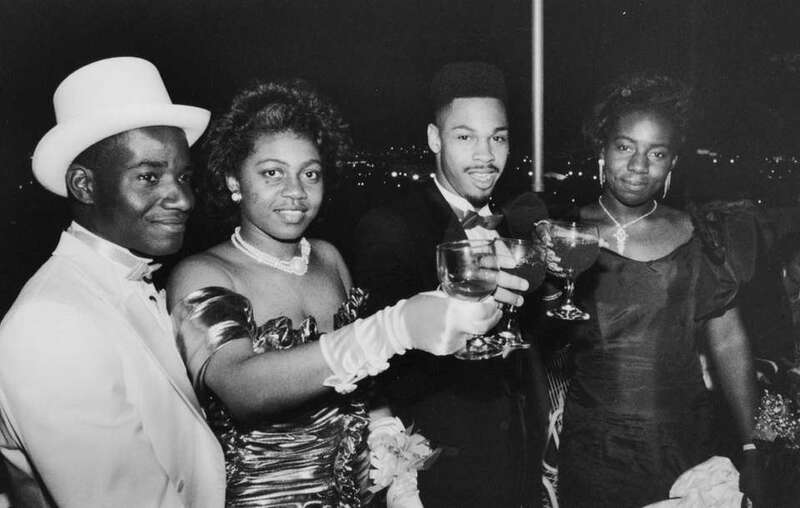 Wayne Nathan, Jenive Sangster, Anthony Evans and Leslie Pieters toast to friendship at the Uniondale High School senior prom held at Terrace on the Park in Flushing, Queens, on June 2, 1990. 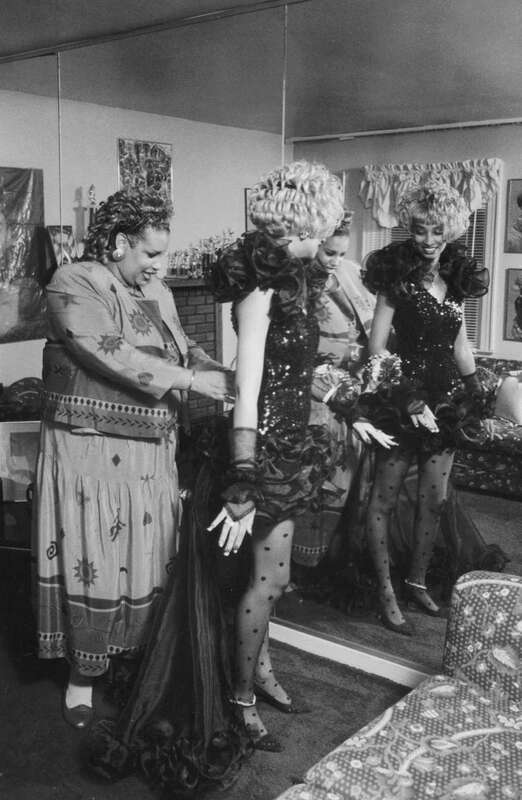 Roosevelt High School student Franchetta Starks gets ready for her senior prom as her mother Nicoletta helps her get dressed on June 6, 1991. Joe Feliciano tries on his prom tuxedo with help from his friend Joe Mirador at Mr. Tux in Patchogue on June 22, 1992. 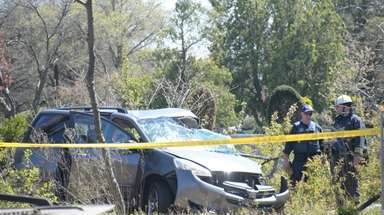 Both were seniors at Sachem High School. 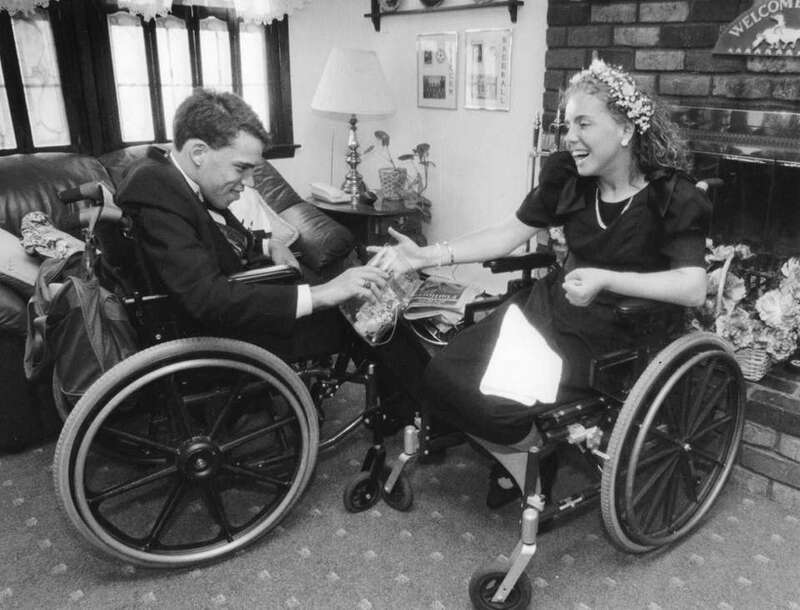 Charlie Stoltz exchanges flowers with his prom date, Tricia Pikul in East Meadow, before the couple attended the prom at the Carman Road School in Massapequa Park on June 12, 1992. 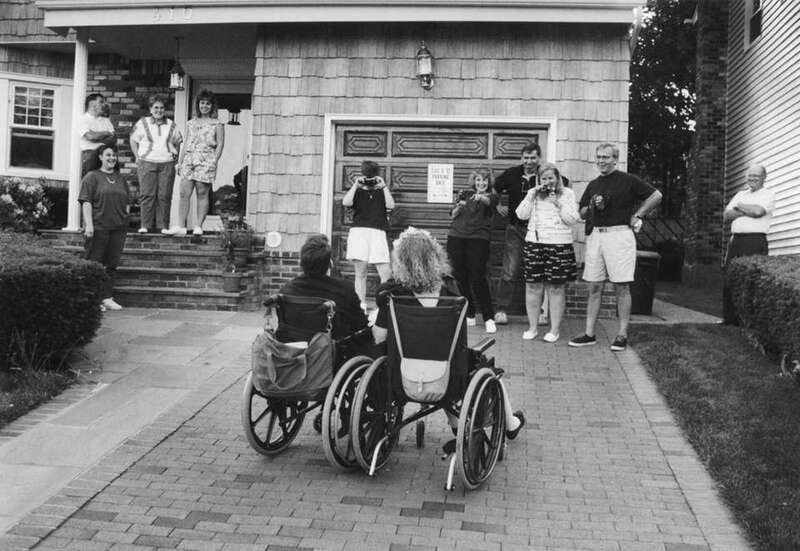 Parents and relatives of Charlie Stoltz and Tricia Pikul takes pictures before the couple left for the prom at the Carman Road School in Massapequa on June 12, 1992. 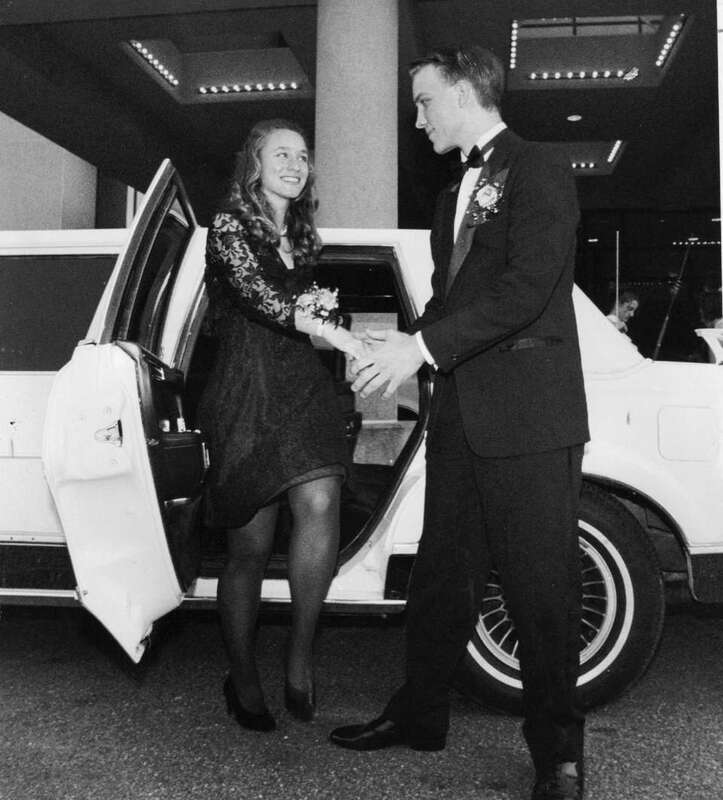 Joanna Tobin and Eric Koenig arrive at Sayville High School's senior prom held the Radisson Hotel in Islandia on May 21, 1993. Barbara Keefe, Steve Famiglietti and Melissa Fannolli of Sanford H. Calhoun High board their limo after post-prom celebrating at the Limelight night club in Manhattan on June 24, 1994. A group of friends from Baldwin High School hang out at Jones Beach after the prom on June 24, 1994. 50 Long Island prom kisses through the yearsProm night on Long Island means kisses aplenty. Share your prom pictures by emailing rachel.weiss@newsday.com or josh.stewart@newsday.com. Unforgettable faces of LI proms 2018Take a look at these unforgettable prom faces and share your prom photos by emailing rachel.weiss@newsday.com and josh.stewart@newsday.com. 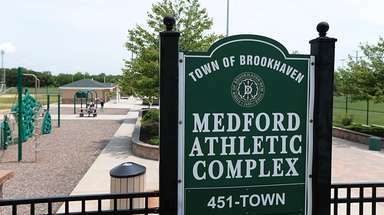 Farmingdale High School junior prom 2019Check out 2019 prom pictures and send your prom photos to josh.stewart@newsday.com. 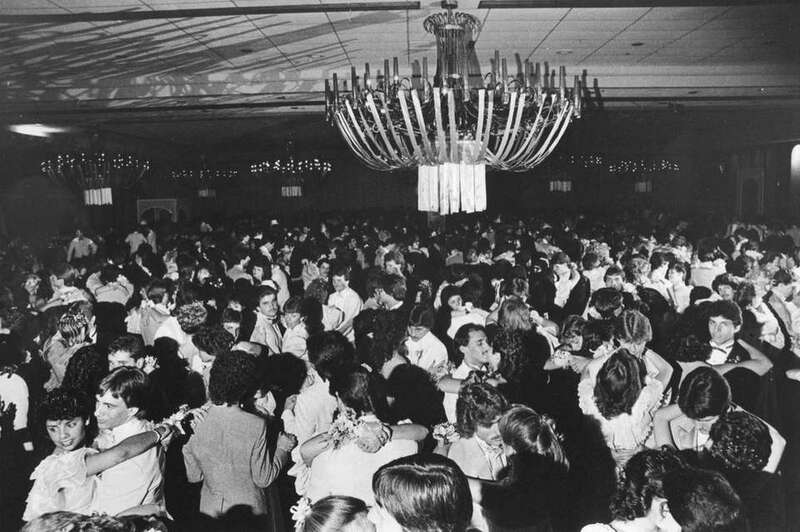 Throwback LI prom photos: Spot your BFF!It's time to travel back in time to attend Long Island proms of the past. 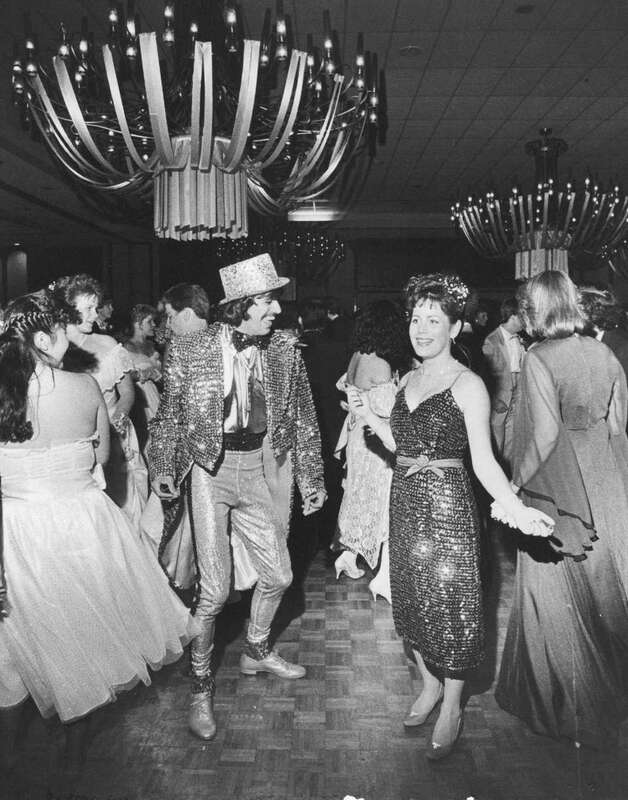 Do you spot a picture of yourself here or wish to share your own vintage LI prom photos? 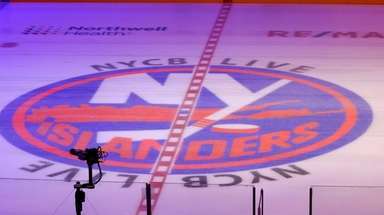 Email rachel.weiss@newsday.com.